Although you will have crossed into Door County 20 miles to the south, it's not until you cross the bridge onto the Door Peninsula that you will create both a physical and mental separation from the mainland and all the stresses of everyday life. Enjoy our world-class marina, clubhouse/boaters lounge, indoor pool and fitness center, outdoor pool and fireplace, as well as uniquely crafted condos and single-family homes. This is an ideal destination for those who want to rent a marina cottage for a weekend getaway; or for those who want the full Shipyard experience there are many real estate options available for all their needs. 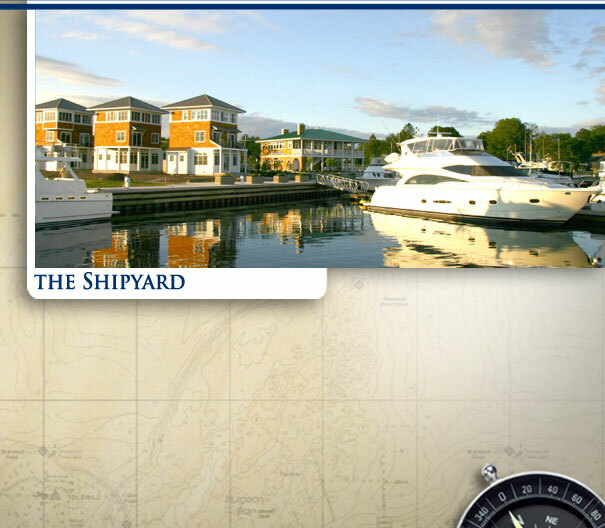 Now it's time to relax and enjoy all that The Shipyard has to offer!